The Panasonic SR-DE102 is a decent option if you are looking for a low priced yet high quality rice cooker. It is Micro-computer controlled with Fuzzy Logic, in other words, an Advanced Micom rice cooker. 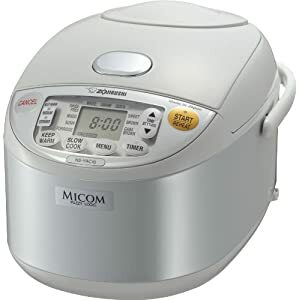 What makes this unit special is the fact that it is produced by a Japanese company and it is one of the few Micom units that you can find for under $100. In fact, the list price of this unit is $109.95 which you can check for yourself on the Panasonic website. A cheaper option is to shop on Amazon. They offer the lowest price that I have been able to find for this unit online. The SR-DE102 is a 5.5 cup device that can prepare up to 10 cups of cooked rice. It has all of the following options: white, brown, sticky, quick cook, slow cook, cake, porridge and steam. It comes with a special steaming tray for you to prepare things like vegetables, steamed seafood and so on. This is a really healthy way to cook that involves no fats or oils at all. As with the more expensive Zojirushi models, this unit has a detachable inner lid. It was not all that long ago that this feature was introduced. 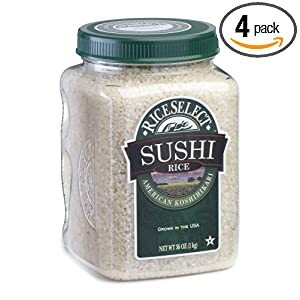 It makes a tremendous difference as far as keeping your rice cooker clean is concerned. I would go so far as to say that any Micom rice cooker that does not offer this feature, should be avoided. If you are looking for the best price Panasonic SR-DE102 then as I mentioned above, Amazon is the place to look.This model is a slightly cheaper version of the Panasonic SR-MS102 and there are only really a few minor differences. There are many more rice cooker reviews on this site if you are not yet sure which model to choose.